It took me an awfully long time to get started with Brioche. I loved how it looked, and how squishy and soft the fabric was but I was a bit intimidated. I think because most of the projects I was looking at were large complex ones it felt like a lot to learn. However I discovered that if you break it down (as with everything!) and take it skill by skill then it’s very manageable and a lot of fun! The Malandros Scarf pattern falls very much into my ‘Learn Through Patterns‘ philosophy. I find the best way to learn is by doing, so putting a pattern together that helps me and you master a set of great Brioche skills seemed like a good way of learning. As I worked through the scarf I also put together a series of videos that guides you through each new technique. I put these videos together as a free class on Teachable that guides you through the pattern. The class starts off with the Italian Cast-On. 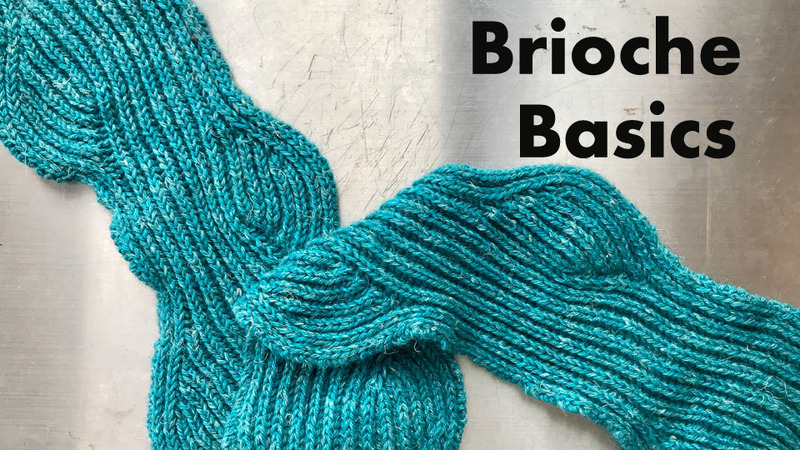 This is a ribbed cast-on with a lot of stretch that allows the Brioche to flow straight from the edge into the stitch pattern. It can be used with lots of other ribbed projects as well of course! Next I move into the basic brioche stitch. The scarf is narrow enough that you get lots of practice working back and forth over the rows. Next up are directional increases and decreases. 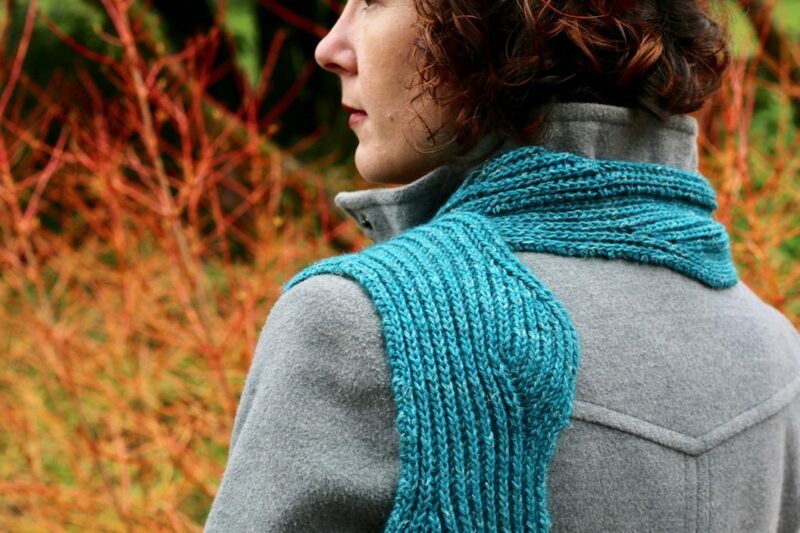 This really allows you to create interesting shapes in your Brioche knitting. Finally I run through a Tubular Bind-Off so that you can finish as you started with the Brioche flowing right into a ribbed bind-off that is super stretchy. A lot of the techniques that are specific to Brioche focus on 2 of its primary properties; it’s ability to stretch a great deal horizontally and the vertical rib effect. When your stitch pattern stretches out a lot you want to make sure the cast-on and bind-off are extremely stretchy as well. The same goes for the rib effect; making the start, end and increases/decreases flow seamlessly create a beautiful, pleasing effect. You can sign up for my Brioche Basic class on Teachable for free here. If you just want to dip in and out for the techniques then it can stand alone but if you want to use it to knit through the Malandros Scarf then that needs to be purchased separately. The Teachable platform is new to me and I’ve really enjoyed setting up my first class. Let me know what you think of it! If there is interest I will continue to add to the class collection that I have here over the coming months so all feedback would be wonderful. I have to compliment you on the pattern and the videos. I have never knitted Brioche and have always been intimidated by it. Your videos went through each step very clearly. The pattern is perfect for teaching all aspects of Brioche. It is repetitive yet keeps changing. Each increase and decrease section, I watched the videos. In the beginning, I had to watch the videos numerous times. By the end of the pattern I did not have to watch at all! I also learned new techniques such as the Italian cast on and the tubular bind off. The videos were indispensable to this pattern. However, I can see how much time went into both the pattern and the videos. The video instruction was really fantastic and was a perfect compliment to the pattern. The pattern as well contained so much instruction. Lots of work went into that as well! I would definitely suggest making this scarf as a first starter project. Once you’ve completed it you can then move on to other Brioche skills. Over the coming months I’m hoping to add to this Broiche collection of lessons; working through Brioche in the Round, 2-colour Brioche, and some interesting Brioche stitch patterns. 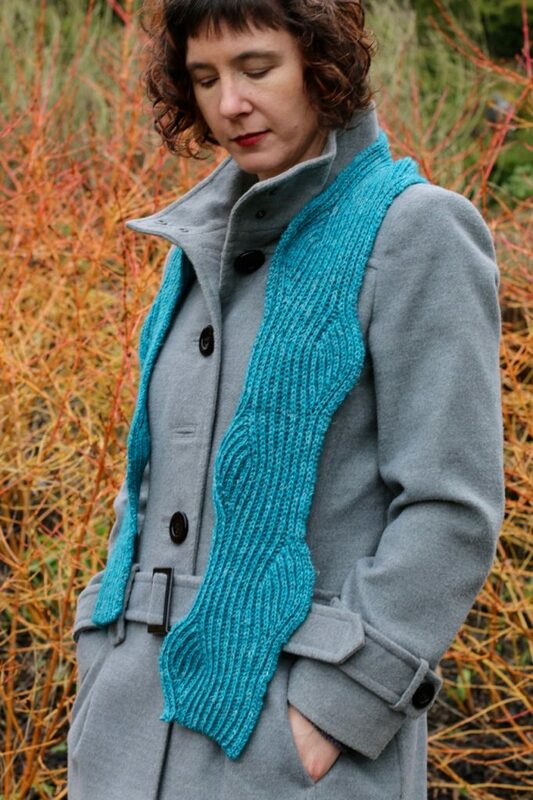 Very shortly I’ll be able to share my next Brioche pattern with you….a Brioche raglan cardigan. This is designed to be either a men’s cardigan or an oversized woman’s cardigan. It’s really cosy, squishy and warm! Have you tried Brioche before? What new Brioche skills would you like to learn? What a great resource Carol. Thanks. 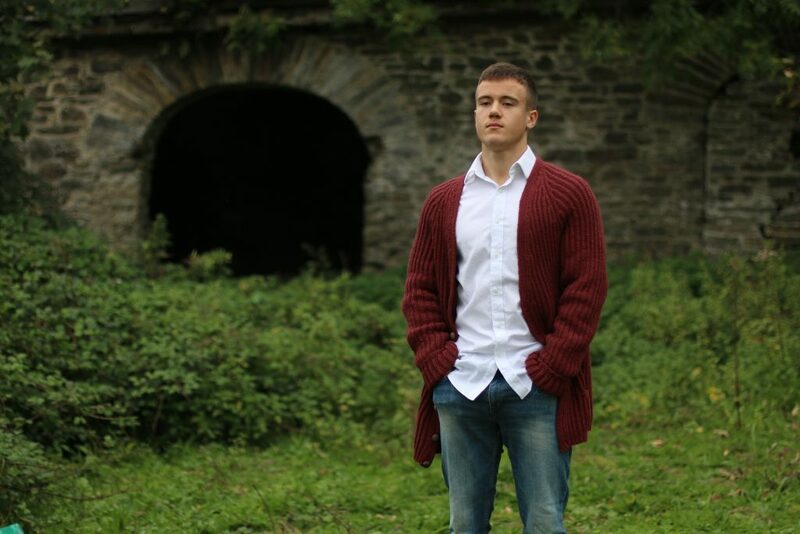 Love the look of that cardigan!